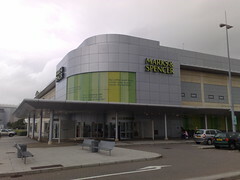 Well, at least that’s the claim of ‘Sir’ Stuart Rose the chairman of Marks and Spencer. And he should know as I’m sure that M&S has more female employees than male. You should read the rest of the article on the BBC website, makes for interesting reading. As does the attitude that comes across as condescending and patronising. It’s been 40 years since the Equal Pay Act was meant to close the gender pay gap and hopefully the opportunity gap. It’s been 21 years since Julie Hayward won her historic victory to cement the concept of equal pay for work of equal value. So the difference in pay between genders, the glass ceiling and the opportunities available across the board have all been dealt with? No, not really. We still have a 23% difference in pay, we still have the glass ceiling although it’s probably shifted up a floor or two and I feel that opportunities are still limited. Working as a man in industry I see an equality growing, or that’s been allowed to grow, and in my industry I discern what I hope would be a more level playing field. What does need to change is the male dominated senior management. Not change exactly as there’s a few of them who will never change, but we still need to get more female representation into upper management and onto the board. Another thing that still has to change is the testosterone fuelled atmosphere in the workplace. That’s best done by ensuring a good gender representation in employment, making sure that sexism is firmly kicked into boot and also legislating and educating women that they don’t have to become part of the ‘macho’ atmosphere that pervades much of the workplace in order to progress. And Harriet Harman‘s latest legislation, the Equalities Bill regarding pay audits and more that’s getting the establishment squealing is most welcome although perhaps it’s being introduced too slowly. Or so the headlines go. 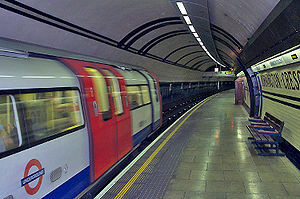 The RMT has completed a secret ballot as required by law and the union is now planning 2 days of strike action which will shut the London tube system down. As expected this has been greeted with howls of anger and indignation from media commentators and also from the general public, or at least the most vocal ones. But is this anger justified? It’s not like the members of the RMT have been flipping their second homes or claiming for duck houses is it? I do think that we need to actually get people to look more at the issues and challenge the knee-jerk response which does nothing but denigrate the work these people do. To see why the RMT membership has called this strike follow the link. So let’s have a look at the typical outburst from Disgusted of Chipping Ongar and how we can best respond and educate. So you’ve looked into what the requirements are for actually doing the job. If you did you would see that training is absolutely vital as they have the safety of up to 4 million people a day in their hands. Proper training costs money and takes time. Look at the safety record on the rail transport system, would you want to jeapordise that? Have you actually bothered to find out what the industrial action is about? Have you looked at the work that they do? You do know that they can be expected to work every day bar Christmas day at all hours of the day and night, do you? I expect they are also grateful that they don’t have to tug their forelock every time a toff enters the room as well. We’ve moved on a bit since the days of serfdom. Without the labour these people provide the shareholders would get nothing. The drivers are full and equal partners in the service that gets millions of people from A to B every day. Do they? MPs look like they need to loosen their belts to accomodate the opulent misuse of expenses. The corporate barons certainly haven’t needed to tighten their belts, in fact the government has bailed them out with so much of your tax money that this dispute doesn’t even register in financial terms. Have you ever wondered why it’s the man and woman in the street that’s being asked to bail out the bankers for the biggest banking crisis in history? No, you don’t. But go back a few decades and you see pay parity between bus drivers and train and tube drivers. What happened was that the lack of union activity within the bus companies allowed the wages and terms and conditions of bus drivers to be driven down. Which in reality shows you the benefit of a strong union to represent you. The Socialist Party have an editorial on their website which nicely sums up some of the rage that I feel inside regarding the MPs’ expenses scandal. I’ve reproduced in its entirety as I think it’s one of the best commentaries on the situation that’s been published. In The Great Stink of 1858 the Houses of Parliament hung lime-soaked sheets at the windows to disguise the stench of untreated sewage rising from the Thames. In the Great Stink of 2009 no such solution is available – for the stink comes from inside. The endless revelations about MPs’ expenses have left the population disgusted and furious. Money was claimed for every imaginable frippery – from getting the moat cleaned to paying domestic servants, from massage chairs to buying champagne flutes and eighteen piece dinner sets. Outright fraud was officially sanctioned, or at least tacitly encouraged, with the Fees Office apparently telling MPs that it was fine to claim on mortgage debt that had already been repaid. MPs tried to defend themselves by suggesting that it was their ‘low’ pay – £64,766 per year – which justified their excessive expenses! To the 90% of people who earn less than £40,000 a year this sounds obscene. Against the background of a devastating economic recession – with millions facing unemployment and the gap between rich and poor wider than it was under Margaret Thatcher – the MPs’ expenses scandal has brought to the surface all of the accumulated anger, particularly of the working class. One BBC poll revealed, unsurprisingly, that 73% of the less skilled sections of the working class (social class DE) thought that MPs named and shamed in the newspapers over their expense claims should be forced to stand down from parliament, compared with 51% from social class AB. Floating in their privileged Westminster bubble, MPs were completely detached from the reality of working class people’s lives, feelings and opinions. Now a blast of the hot fury of the working class has left them quaking. As Diane Abbott MP put it: “The public … want to see dead MPs hanging from lamp-posts”. The fury is heightened because of the contrast between New Labour’s increase in repressive laws, and the MPs on the fiddle being able to walk away with no more than a slap on the wrist. In its twelve years in office New Labour has introduced 3,600 new laws. Ordinary people are hemmed in by endless petty bureaucracy from draconian parking fines, to hefty surcharges for being late paying your council tax, or the law coming down on you like a tonne of bricks if you claim slightly more benefit than you are strictly entitled to. ‘I was too busy’ is not an excuse which the courts or the councils accept. All three establishment parties are now desperately looking for a way to appease ‘the mob’. For the first time since 1695, parliament’s Speaker, Michael Martin has been forced from office. This is blatant hypocrisy. The Speaker is in it up to his neck – but so are Cameron, Clegg, Brown and many other ministers and MPs. They hope that sacrificing the Speaker might save the rest of their sorry skins. Even if a handful of the worst offenders are expelled from the Labour Party, it will still be ‘too little too late’. This crisis is going to rumble on. The Labour Party is suffering most – some opinion polls suggest it could even come fourth in the European Elections – behind UKIP. Desperate to cling to power, Brown will try to avoid calling a general election before next May, but he could be forced to. However, all three establishment parties have been undermined, as has British ‘parliamentary democracy’ itself. This is a profound crisis for British capitalism. Confidence in the institutions through which it rules is at an historic low. There is a comparison to be drawn with ‘mani pulite’, the ‘clean hands’ scandal in Italy in the early 1990s. As a result of the unveiling of the all-pervading corruption in Italian politics, the whole electoral system was changed. All four of the parties in government when the crisis broke were destroyed by it, and have since disappeared. If a mass workers’ party existed in Britain today, with elected representatives living on the average wage of a worker, it would be able to act to channel the wave of anger that is breaking over the capitalist parties and use it to push forward workers’ interests. This crisis has revealed the contempt in which the capitalist politicians are held. Thirty years of neo-liberal policies – ceaseless attacks raining down on public services and the living conditions of the working class – have profoundly undermined and hollowed out the social base of all three capitalist parties. With New Labour now being a completely capitalist party, only the faintest echo remains of the old working class loyalty it once had. The Tories are ahead in the opinion polls, but this is based on revulsion at New Labour’s policies and not enthusiasm for those of the Tories. If the Tories are elected in the next general election, an attempt to carry out their programme – of even more brutal attacks on the working class than Labour has carried out – will face a revolt from the working class and large sections of the middle class. Their electoral support could quickly implode. In the European elections on 4 June it is clear that, while many will stay at home in disgust, a large number of those who vote will be aiming to punish the establishment parties. Fearing where a protest vote will go, the capitalist media has consciously promoted the right wing populist party UKIP as the protest vote of choice, despite it having had an MEP jailed for corruption! The far-right racist British National Party has also received widespread coverage in the media. Their portrayal of the BNP as the ‘bogeyman’ of politics may encourage a section of working class people – furious with all MPs – to vote BNP. The Green Party, with two MEPs, is also gaining a greater profile, with 11% in one opinion poll. The Greens are seen as standing on the left, but in reality in the European Parliament the European Greens have supported privatisation – including the Postal Services Directive, which is the law under which Royal Mail is being part-privatised. However, there is a pro-working class slate standing in the European elections. No2EU – Yes to Democracy, has been initiated by the transport workers’ union, the RMT, and is supported by some of the most militant trade unionists in Britain today. Its candidates include leaders of the Lindsey strike, the Visteon car plant occupations, and Rob Williams – victimised convenor of Linamar car component plant. Socialist Party councillor Dave Nellist, who for nine years was a workers’ MP on a worker’s wage, is heading the list in the West Midlands. No2EU – Yes to Democracy stands against privatisation and in defence of workers’ rights and public services. If elected, its MEPs will not take a penny from the EU gravy train. No2EU offers an alternative in the European elections. It also represents the beginning of creating a workers’ alternative to the corrupt capitalist parties. In the next general election Dave Nellist and other Socialist Party members will be standing on the basis of becoming ‘a workers’ MP on a worker’s wage’. The Socialist Party will encourage other trade unionists and community campaigners to do the same. I remember when Dave Nellist was expelled from the Labour Party. How ironic that those that demanded his expulsion are now mired in such sleaze and corruption. Imagine your child is at University and takes a year out to study abroad as part of their course, something that is becoming more and more popular in UK universities. Imagine seeing your child off at the airport, the feeling of pride in what they are achieving, but also the concern you have about them going to a foreign country. Imagine learning that they have been arrested at gunpoint by the security forces of this other country, yet you don’t know of what they have been accused of. Imagine that they have been locked up, you don’t know where, you don’t know how long they will be there, you don’t even know what is happening to them. Imagine you know of this government’s involvement with extraordinary rendition and the torture that’s associated with it. Imagine that your government does very little to help you, and refuses to put pressure on the other government. Imagine that your letter pleading for mercy and to know what is going on is ignored and hardly picked up at all by the supposedly free press. In the UK there has always been a strong non-conformist streak when it comes to the Christian faith, especially among those who seek to outwork it in society. I’m often amazed how those who have gone before us seem to be sidelined in the history of faith in this country. It was with a great surprise that there is such a good record on the life of Tom Mann in places as Wikipedia, Marxists Internet Archive and Spartacus Schoolnet. 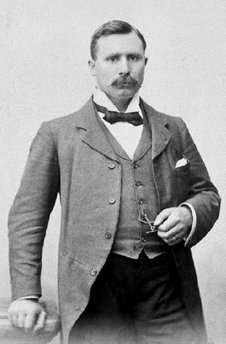 Tom Mann was born 15th April 1856 in Bell Green, a suburb of Coventry he left school at 9 years of age to work in a colliery. Through his various jobs he became exposed to the ideas of William Morris and the principles of socialism and Christian socialism. He wrote the pamphlet, “What a Compulsory Eight-Hour Day Means to the Workers”, the first time that a call had been made to limit the working day. After reading the Communist manifesto by Marx and Engels, Tom Mann embraced communism. He was one of the three main leaders of the successful 1889 Dock Strike. during this time he worked with organisations such as the Salvation Army and the Labour Church to provide support for the strikers. in 1893 he seriously considered becoming an Anglican minister. I do wonder why we have such a problem reconciling the Christian faith and socialist principals today? In 1894 he was elected as Secretary of the Independant Labour Party and stood unsuccessfully for Parliament three times. In 1901 he emigrated to Austrialia and returned to England in 1909. Tom Mann organised the transport workers’ strike in Liverpool in 1911. During this time he was arrested and imprisoned for publishing a leaflet urging soldiers not to fire upon striking workers. Sending the troops in was a common technique used to try and end strikes. He was sentenced to 6 months but served only 7 weeks due to public pressure. Throughout his life he continued to support the poor and dispossessed in society. In 1932 he published pamphlets criticising the cuts in poor relief and was sent to prison under the Seditious Meetings Act. Two years later he was put on trial in Cardiff for sedition but was acquitted. His article “A Socialist’s View Of Religion And The Churches” is worth a read. Tom Mann died in Leeds on 13th March, 1941. Moving my regular blogging from Plans to Prosper so copying some recent content. This is the first post in series, hopefully a long series where I blog about who is inspiring me. Inspiration is often a transient thing so who I may consider my main inspiration may be off the agenda next week! So first up is George Lansbury, who I think is always going to be up at the top. Born 21st February 1859 in Halesworth, Suffolk, England. Died 7th May 1940 in London. Christian Socialist, MP, campaigner on poverty, member of the Independent Labour Party and the Labour Party. He inspires me because of his practical concern for the poor, not letting anything get in the way of his Christian Socialist and pacifist principles, even suffering two periods in prison. He was charged with sedition when he published leaflets in support of women’s suffrage and spent time in Pentonville prison, being released when he went on hunger strike. In 1921 he was elected as Mayor of Poplar and together with his colleagues increased the amount of financial aid to the poor in defiance of central government diktat. George and his fellow councilors were imprisoned for four months. I would close every recruiting station, disband the Army and disarm the Air Force. I would abolish the whole dreadful equipment of war and say to the world “do your worst”. He was the grandfather of Angela Lansbury the actress and Oliver Postgate the animator. He also led James Keir Hardie to become a Christian.